U.S. Commissioner Bob Alverson said the commission met as recently as two weeks ago, but he notes that both sides have not been able to resolve their differences. “It hasn’t been a disagreement on the general trend of the resource, but it’s just a disagreement over how much 2B should be entitled to,” he said. Area 2B is Canada’s lone regulatory area. Canadian commissioners have historically disagreed with the IPHC’s harvest policy, which provides a guide for commissioners when they split the overall catch between the IPHC’s 10 regulatory areas stretching from northern California to the Bering Sea. However, commissioners have strayed from the suggested percentages based on the harvest policy and annual survey data. Under the current policy, Canadian fishermen would receive just over 12 percent of the overall catch this year. Alverson said Canadian commissioners want 20 percent, something the U.S. said is unfeasible. “So I think all six commissioners fully understand all the arguments on either side and I think there is a desire amongst the six to have an agreement,” he added. If U.S. and Canadian commissioners come to an agreement, it’s likely to be on an interim basis. IPHC commissioners are due to rework the harvest policy in the next two to three years. U.S. and Canadian members on the International Pacific Halibut Commission, or IPHC, met earlier this month in an effort to resolve their differences over how Pacific halibut are distributed between regulatory areas. 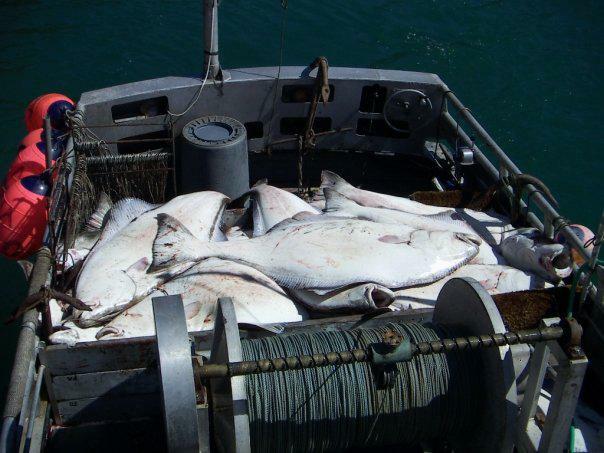 The commission shocked the fishing industry in January after it could not agree on catch limits for 2018, bringing years of disagreement to a head.